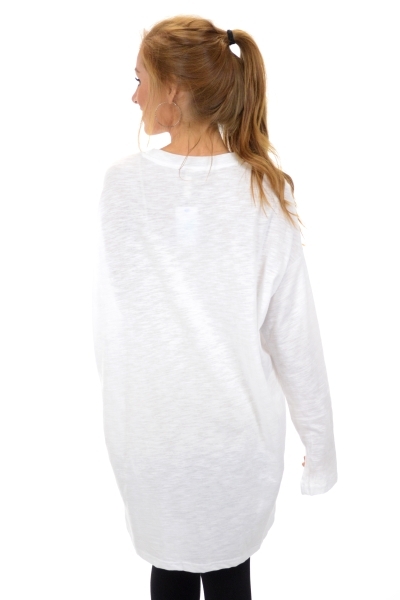 It doesn't get any more classic than this white crewneck! 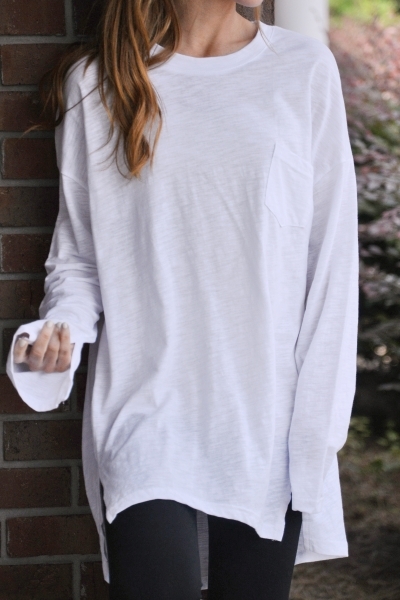 It has a comfy, slightly over-sized fit with a pocket detail. Fabric is a soft 100% cotton. Fit is generous. Mattie is wearing size small.